The Computer Science department at San Francisco State University has around 400 undergraduate students and 100 graduate students, and is engaged in both education and research. The department is currently at work on a machine learning project, called FEATURE, in collaboration with the Stanford Helix Group and supported by the National Institute of Health, (NIH Grant LM05652). 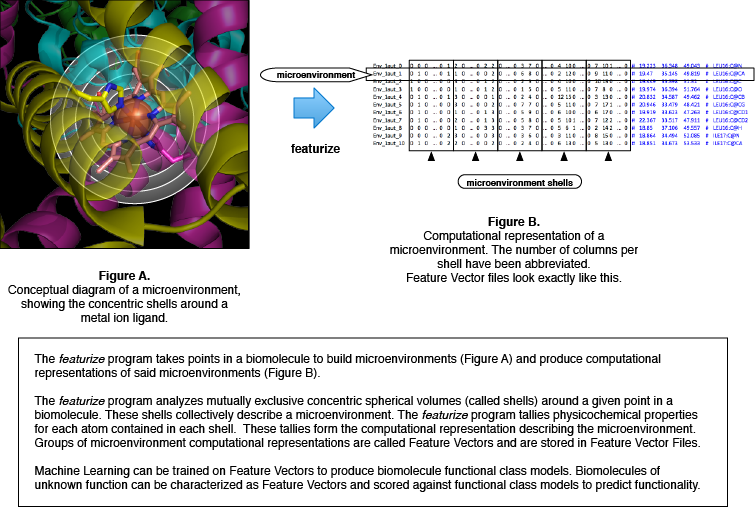 FEATURE uses machine learning to predict functional sites in proteins and other three-dimensional (3D) molecular structures. Professor Dragutin Petkovic explains: “Massively parallel optimization of machine learning involves the application of support vector machine (SVM) algorithms to thousands of training sets that are composed of hundreds of thousands of vectors. Optimal SVM parameters are found through brute-force parallelized grid searches with k-fold cross-validation. This optimization involves repeating similar operations many times independently.” Figure 1 below illustrates the FEATURE project. FEATURE, like other innovative scientific projects, has an insatiable appetite for high performance computing and the project’s research scientists found that the computational demand for exploring detailed aspects of biological molecules soon outgrew the university’s facilities. Computing resources are shared at San Francisco State University and high demand meant that researchers had to re-shape the size and scope of their questions or face long delays for available resources. In addition, these constraints led to long waits for results and put an arbitrary cap on the experiments that the scientists could run. The scientists only needed computational resources periodically and it wasn’t cost-effective to purchase a large-scale resource and maintain it for irregular use. As the research team considered their options, they realized that the on-demand access to computational resources provided by Amazon Web Services (AWS) met their purposes. “The pay-as-you-go model of Amazon Elastic Compute Cloud (Amazon EC2) was the most appropriate option versus owning a large server in-house,” says Professor Petkovic. The research team built FEATURE using C, C++, Perl and Python, among other tools. They deployed the cluster to Amazon EC2 with MIT StarCluster, an automated provisioning tool built for scientific and technical high performance computing. 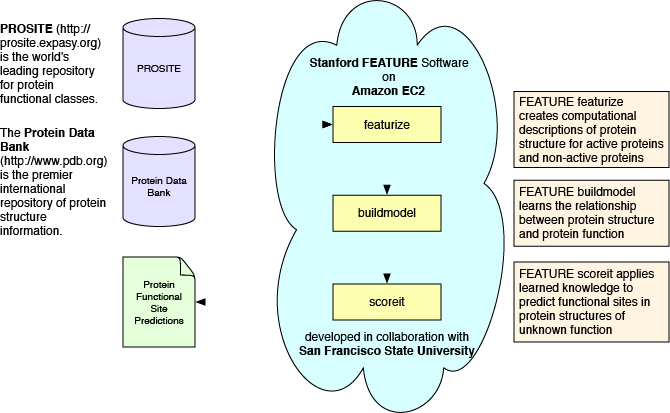 The Protein Databank and protein structure databases were loaded onto Amazon Elastic Block Store (Amazon EBS) volumes for easy management and re-use, and are accessed using an Amazon Linux custom machine image (Amazon Linux AMI). Figure 2 demonstrates the architecture of the FEATURE project. Professor Petkovic estimates that their computing costs have been reduced by about 20 times. “We estimate that a small, 40-node in-house cluster runs at $ 1.71 per computer unit per hour. In comparison, Amazon EC2 costs us only $0.08 per equivalent elastic computer unit (ECU) per hour,” he explains. In addition, Petkovic and his team are able to use billing alerts and other cost optimization tools that AWS provides to plan and manage the cost of using the service. “AWS provides on-demand access to high performance resources, which enables us to focus on science, rather than the heavy lifting of maintaining server infrastructure. AWS helps us lift the ceiling on the size and scope of our machine learning experiments,” says Petkovic. To learn more about genomics in the cloud, visit our AWS Genomics details page. To find out how AWS can help with your High Performance Computing needs visit our HPC details page.